We love talking with communities. It’s even better when we get to use our own product to talk to customers in real-time. That’s why, we’ve recently been jumping around to our favorite communities to host AMAs (ask me anything) where we answer all of the burning questions people have about our product. Turns out, we’re learning just as much from you as you are from us. You’ve told us what you love, what’s not so great, and what is just plain confusing. We also find that fostering this dialogue is helpful for everyone involved. By hosting a Disqus AMA, publishers are showing their community they care about their feedback. Shining the spotlight on commenters is an important part of building a successful community. Last week, we cozied up with the vibrant and energetic folks at Android Police–a great community for Android news, tips, app reviews, and tutorials. CEO and community leader, Artem Russakovskii was one of the main contributors to the AMA and squeezed in a whopping total of 39 comments. How can the reading experience be improved? Here at Disqus, we’ve been talking a lot about how we can make the reading experience even better. In the future, that might take the form of a better pagination design or subthreads that automatically collapse to put more emphasis on top level comments. When 2 people have a long back-and-forth chat, that can disrupt the overall discussion. Will you bring back downvotes? Downvote counts are a popular request. We talked about how we’re testing a combined vote total in the iOS app and the possibility of introducing that for the Disqus web experience. 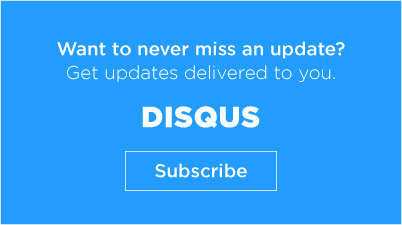 We stepped onto the home turf of the web’s most passionate Android users and they’re curious about Disqus on Android. No surprise here ;). For all you iOS-leaning folks, check out our newly released app. Can we create custom user badges for our community? Want to dive into the full discussion and see our answers? You can visit the complete AMA on Android Police here. Are you a publisher using Disqus and interested in hosting an AMA with our team? Let us know below!